Manufactured by Midcoast Mfg. and Supply, PANEL BUDDIES™ are fastly becoming the first choice of professional woodworkers across the country. 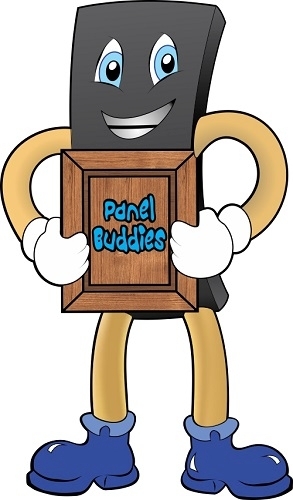 Unlike other panel expansion spacers on the market PANEL BUDDIES™ are made from specially sized foam rubber. They allow maximum expansion and contraction with out putting excessive pressure on the joints and allowing the panel to naturally center itself. You'll find your doors sound and feel more solid, eliminating the aggravating rattle associated with contracting panels. Thank you for visiting and feel free to contact us with any questions or concerns you may have. NOTICE: If you created an account previously you will have to create a new account as we have updated our website. Some shipping charges have changed, please contact us if you have any questions.